No matter what your musical tastes are, there is probably a concert in the area March 4 that will be to your liking. 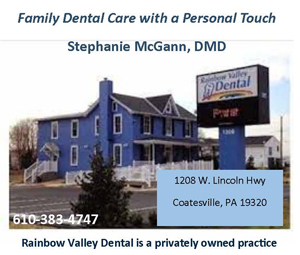 The long lineup of acts performing in Delaware Valley ranges from the female rock trio Potty Mouth to the traditional bluegrass band Seldom Scene — from American reggae-rock group Tropidelic to singer-songwriter Marc Berger. And, there is a dance party with Bob Pantano that is celebrating its 40th anniversary. Potty Mouth, which is headlining a show at Boot and Saddle (1131 South Broad Street, Philadelphia, 215-639-4528, www.bootandsaddlephilly.com), is an indie rock band from Northampton, Massachusetts. Abby Weems, Ally Einbinder, Victoria Mandanas and Phoebe Harris formed the band in 2011. Einbinder, Mandanas and Harris all attended Smith College. Weems is a Western Massachusetts native who grew up in nearby Amherst. The band relocated to Los Angeles in 2016 and Harris opted to leave the group. “The other three all went to college together,” said Weems, during a phone interview Wednesday afternoon as the band traveled north from Baltimore to a gig in Binghamton, New York. Einbinder said, “We started by playing house parties. Our first show was in a basement in Holyoke, Massachusetts. We never really played on campus at Smith. Potty Mouth is always staying busy and creating new music. “We record all the time,” said Weems. “We released our self-titled EP in August 2015. We were in the studio for three months off-and-on. We work with Courtney Ballard, an engineer who has an in-house studio. “We moved to L.A. June and now we all have our own places here. 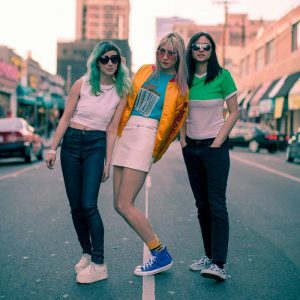 We’re all in northeast L.A. in the Hollywood Park area.” Potty Mouth has been hard at work making songs for its next album. “We have almost seven tracks finished,” said Einbinder. “We have a surplus of songs – way more than we need. “The songs usually start with Abby. She writes the songs on guitar and brings them to us. Victoria adds the drums and I add my bass parts. Then, we work on the dynamic changes. Einbinder said, “As soon as we finish this tour, we’re going right back into the studio. When we left, I was right in the middle of tracking a bass part. We’re hoping to work all through April and have the album finished by May. A fall release would be great.” Video link for Potty Mouth: https://youtu.be/Yo5DneCjIFQ. The show at Boot & Saddle, which has Tennis System and Partybaby as the opening acts, will start at 8:30 p.m. Tickets are $12. 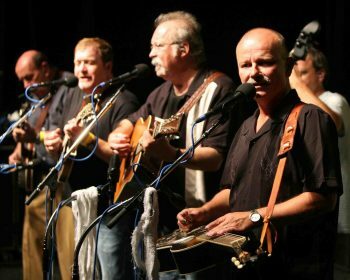 On March 4, the Sellersville Theater (24 West Temple Avenue, Sellersville, 215-257-5808, www.st94.com) will present a concert by the legendary bluegrass band Seldom Scene. Seldom Scene has been playing Americana music a long time – longer than the term “Americana” has been in existence. The band formed out of the weekly jam sessions in the basement of banjo player Ben Eldridge. These sessions included John Starling on guitar and lead vocals, Mike Auldridge on Dobro and baritone vocals, and Tom Gray on bass. Then mandolinist John Duffey, was invited to the jam sessions at the time when Auldridge arranged for the group to play as a performing band. Each of the band members had a job during the week. So, they agreed to play one night a week at local clubs, perform occasionally at concerts and festivals on weekends, and make records. The band’s first home scene was the Red Fox Inn in Bethesda, Maryland, where it spent six years before starting weekly performances at The Birchmere Music Hall in Alexandria, Virginia. Now, there are no original members left in the lineup. Seldom Scene kept a nucleus of Auldridge, Duffey and Eldridge through 1995 when Auldridge left and Duffey died of a heart attack. The line-up of Eldridge (banjo, guitar), Dudley Connell (guitar, vocals), Ronnie Simpkins (bass), Fred Travers (dobro, vocals) and Lou Reid (mandolin, guitar, vocals) held steady until recently when Eldridge retired. Eldridge began his musical career with The Heights of Grass and then continued professionally with groups such as The Virginia Squires, Tony Rice Unit, and Emmylou Harris’ The Red Dirt Boys. “Ben is still around but he left the band in January 2016,” said Connell, during a phone interview Wednesday afternoon from his home in Gaithersburg, Maryland. Connell plays a variety of guitar styles and provides powerful lead vocals for Seldom Scene – a band that has a reputation for challenging the boundaries of bluegrass. Connell’s musical virtuosity has pushed the group beyond these bounds. He has become a fan favorite for his renditions of traditional songs like “Old Train,” folk ballads such as “Blue Diamond Mine,” and blues songs like “Rollin’ and Tumblin’.” Connell is a former member of The Johnson Mountain Boys. Seldom Scene’s debut album was “Act I” in 1972. The band’s most-recent full-length is “Long Time….Seldom Scene,” which was released in 2014. “We recorded ‘Long Time’ at Bias Studio in Springfield, Virginia,” said Connell. “We don’t do a lot of writing ourselves but everybody has a say in what we play and what we record. It’s really democratic. The show at Sellersville, which has Marc Silver as the opener, will start at 8 p.m. Tickets are $29.50 and $45. Other upcoming shows at the Sellersville Theatre are Los Lobos and Matt Andersen March 5, Stringfever and INRUSH March 6, Cherish The Ladies March 7, and the Celtic Tenors March 8. When Tropidelic plays MilkBoy Philly (1100 Chestnut Street, Philadelphia, 215- 925-6455, www.milkboyphilly.com) March 4, two things are certain. The audience will be treated to tasty music played in a variety of styles. And, people will be dancing. Tropidelic formed along the banks of the Cuyahoga River in murky Kent, Ohio in 2008. In the nine years since, the band has undergone a few massive makeovers – from relocations to member changes. “Tropidelic has been around since 2008,” said Pags, during a phone interview Wednesday from his home in Cleveland. “Our lead singer Matt (Roads) put a band together when he was in college. We’ve gone three major changes with band members and instrumentalization. I met up with Matt at the end of 2010 when he put the band back together. He was in Tropidelic and I was in another band – the Pirates of the Burning River. “We got together and built from that period on. We realized we wanted a bigger band. There’s six of us in the band now – Bobby on guitar, Matt on vocals and rhythm guitar, James on trombone and lead vocals, Derek on trumpet, Derek on drums and me Pags on bass. This lineup has been together for four-and-a-half years. Video link for Tropidelic – https://youtu.be/2vrd6arfLqA. The show at MilkBoy Philly, which also features Little Stranger and The Norm, will start at 8:30 p.m. Tickets are $10 in advance and $12 at the door. Marc Berger is a free spirited musician who has two main passions in life. 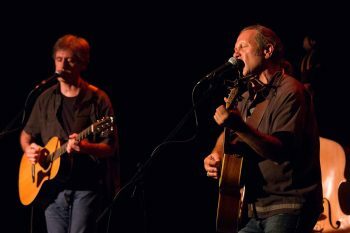 On March 4, the veteran singer-songwriter-guitarist will perform two shows in the area. His primary gig will be a show in the evening at Burlap & Bean Coffeehouse (204 South Newtown Street Road, Newtown Square, 484-427-4547, www.burlapandbean.com). 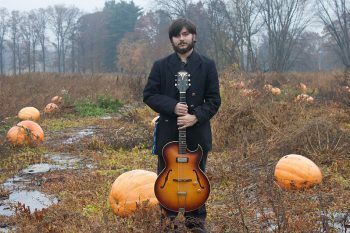 Berger, who is being accompanied by guitar ace Rich DePaolo, will also play a set at the Tredyffrin Public Library (582 Upper Gulph Road, Strafford, 610-688-7092, https://www.tredyffrinlibraries.org/marc-berger) from 2-3 p.m. Berger’s life has been about pursuing twin passions — creating and recording his American roots songs, and exploring remote areas of the desert and mountain in the West. After signing his first publishing contract while in law school, he fronted rock bands and performed regularly in New York City clubs like CBGB, Wetlands and The Knitting Factory. All through this period, Berger found ways to get out West where he picked up details from fellow wilderness junkies about off the beaten path locales and filed them away for future reference. Berger now is playing shows in support of his latest album “RIDE.” The album features 10 cinematic recordings reflecting his romantic connection to the American West and exploring the value of its myths to contemporary culture. “I started on ‘RIDE’ a really long time ago,” said Berger, during a phone interview Monday afternoon from his home in Ithaca, New York. “It wasn’t so much writing and recording songs. I made it with my drummer Mike Ricciardi and we didn’t know much about recording gear. It was a very visual sonic idea. Panning is the distribution of a sound signal (either monaural or stereophonic pair) into a new stereo or multichannel sound field determined by a pan control setting. “Once we mixed the songs and got to the end, our recording skills had improved so much – so much that we had to go back and remix some of the earlier songs. We learned how to mix the album to get the effect that I wanted. “The goal was to combine visual and audio into something that would create effects on the listener. Because I have a history that’s legit – a law school graduate/songwriter with a sense of American history – I was suited to make this record. Monument Valley is a region of the Colorado Plateau characterized by a cluster of vast sandstone buttes, the largest reaching 1,000 feet above the valley floor. Monument Valley Navajo Tribal Park is located on the Arizona-Utah border. “I’ve had a love of the West forever,” said Berger. “I’m an Eastern guy. I grew up in Philly and New York. My first trip out west was when I was 21. It rocked my world. Video link for Marc Berger – https://youtu.be/Z_0ymnCjAmQ. The show at Burlap & Bean, which has Alex DiMattia as the opening act, will start at 8 p.m. Tickets are $10. When Bob Pantano hosted his first Saturday Night Dance Party, gasoline was 65 cents a gallon, Jimmy Carter was elected President, the first Apple Computer kit went on sale for $666.66 and Shakira was born. The party will be broadcast live from the Adelphia Restaurant and Nightclub (1750 Clements Bridge Road, Deptford, New Jersey, 856-845-8200, www.bobpantano.com) starting at 8 p.m. The party will feature special guest live performances by Tavares (“Heaven Must Be Missing an Angel”), The Blue Notes (“The Love I Lost”), Kenny Jeremiah (Soul Survivors original lead singer), Cecil Parker (“I Think I’ll Tell Her”), Jimmy Phillips (“Got to Get You Back”), A Tribute to the Trammps by Night Fever with Jimmy Lee, A Tribute to Donna Summer by Rainere Martin, and a host of other surprises. Pantano, a South Philadelphia native, started spinning at the record hops in the late 1960s and then the nightclubs in the 70s. His professional radio career began on WCAM in Camden, New Jersey in 1971. He pioneered the live-radio broadcast, “The Saturday Night Dance Party,” in 1977. 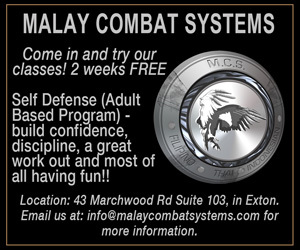 The show has aired every Saturday night since — live from 7 p.m.- 2 a.m. It is the longest-running radio dance party in the nation. “Once I started with the dance party in 1977, I’ve done every Saturday night since,” said Pantano, during a phone interview Monday morning from his home in South Jersey. “I don’t go on long vacations. I vacation from Sundays to Thursdays. Compared to the legendary DJs of Philadelphia, I’ve done my part in keeping the music alive. “I always wanted to be a DJ – all the way back to when I was in high school. I got my first shot in radio when I was a teenage reporter in 1967 with George Michael (the late Philly DJ not the recently deceased pop star). It was also an era when Philly had notable DJs such as Hy Lit, Joe Niagara, Jerry Blavat and Georgie Woods. “I listened to all of them,” said Pantano, who was inducted into the Temple University School of Communications and Theater Hall of Fame and received a sidewalk plaque on the Wildwood Avenue of the Stars in 2007. “Things started taking shape when WFIL went to a new format. I was very fortunate to meet George Michael. The first show of my own was on WCAM in Camden in 1971. “I was in Camden until 1976. There was an opening for a Sunday night show on WCAU-FM. I went on and did a Sunday night disco party and it went well. Then, they gave me Saturday and Sunday. Even though dance music keeps changing, Pantano has been able to keep his show going. “We started with contemporary dance music that was hit music in 1977,” said Pantano, who was inducted into The Broadcast Pioneers Hall of Fame and later honored as the Broadcast Pioneers 2015 Person-of-the-Year. Video link for Bob Pantano – https://youtu.be/dG5U6lwBk6Q. The dance party at the Adelphia will start at 8 p.m. Tickets are $25 in advance and $30 at the door. On March 5, Michael Hollis will visit the area to co-headline a show at Ortlieb’s (847 North Third Street, Philadelphia, 267- 324-3348, www.ticketfly.com). Now, he is on tour in support of the new disc. “Our show tomorrow in Kingston, New York is our first show on the tour,” said Hollis, during a phone interview Monday morning from his home in New York’s Hudson Valley. “I’m just now getting everything together. “‘Lost and Found’ came out officially Feb. 13 – full digital release. I recorded it over the course of a year — from 2015 to 2016. It was all recorded at my home studio. “What’s unique about it is that it all came together by accident. The way it started – I was writing with my vision of an EP. I realized I had a couple songs that needed a home. The EP has a very distinct vibe that sets it apart. “It’s kind of dreamy, reflective and honest – honest in terms of reflection,” said Hollis. “It’s also an honest performance – no auto-tune or anything like that. “In my shows on this tour, I’m doing most of the ‘Lost and Found’ songs and two songs from Blue Museum, another side project band. There also is some new Michael Hollis material. The show at Ortlieb’s, which also features Liana Gabel, Owl & Wolf, and Seesaw, will start at 8 p.m. Tickets are $7 in advance and $10 at the door.